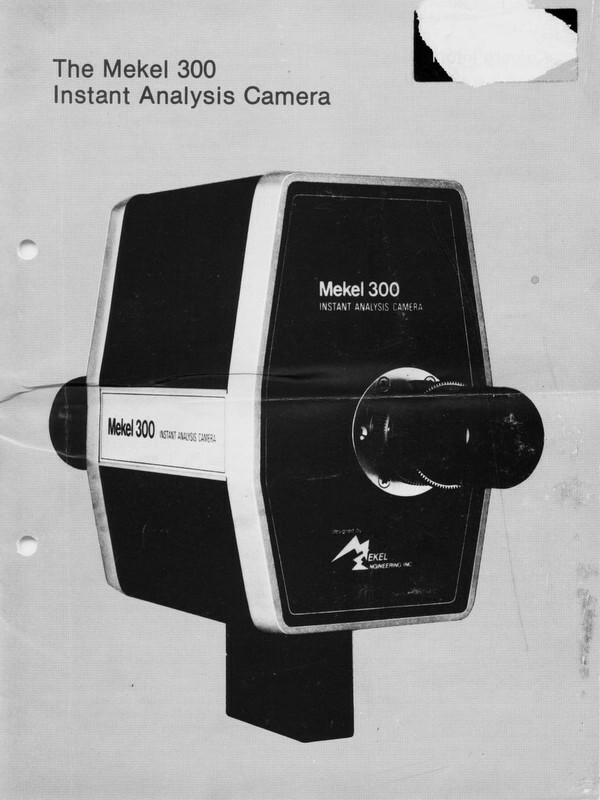 The Mekel 300 Instant Analysis Camera brings to the field of motion analysis the simplicity of operation and rapid access that characterize the Polaroid Polavision motion picture system. 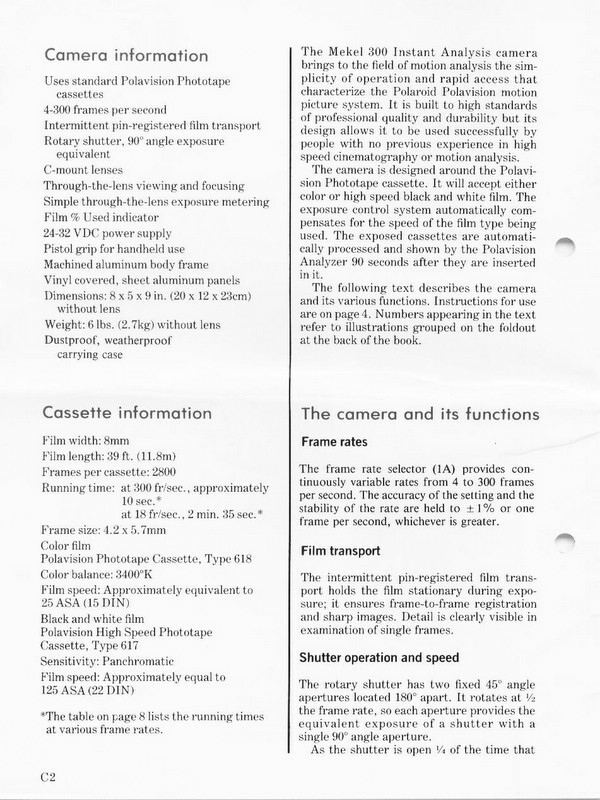 It is built to high standards of professional quality and durability but its design allows it to be used successfully by people with no previous experience in high speed cinematography or motion analysis. 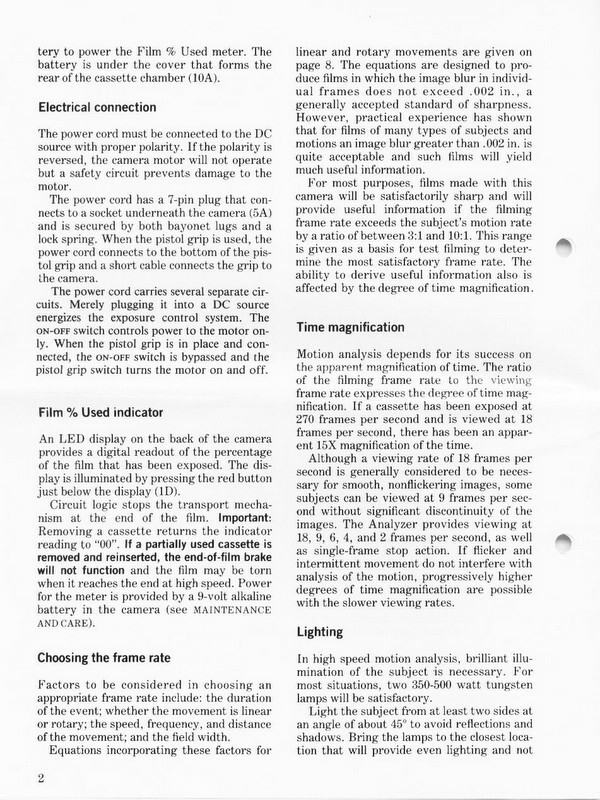 The frame rate selector provides continuously variable rates from 4 to 300 frames per second. The accuracy of the setting and the stability of the rate are held to plus or minus 1 percent or one frame per second whichever is greater. 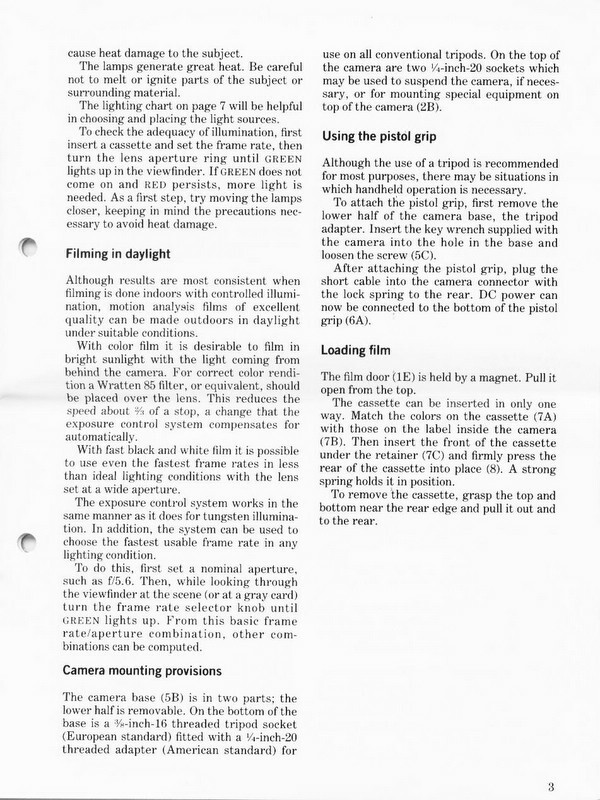 The intermittent pin-registered film transport holds the film stationary during exposure; it ensures frame-to-frame registration and sharp images. Detail is clearly visible in examination of single frames. 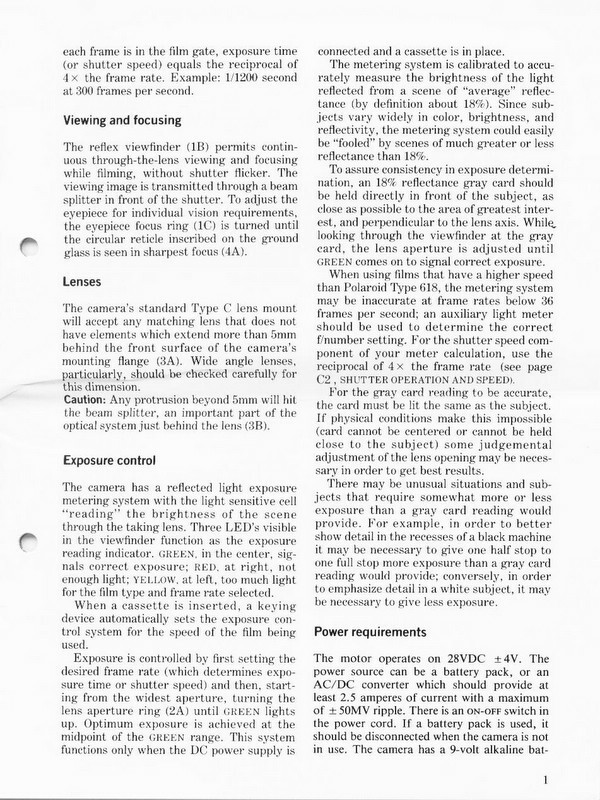 You can find more Mekel 300 camera information on the Super 8 Wiki.